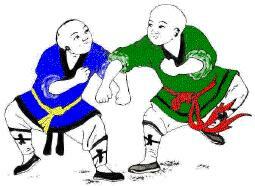 Most Chinese martial art styles rely heavily on the use of forms. Forms are prearranged sequences of techniques and movements that simulate attack and defense. Seven Star Mantis is no different. The Seven Star style consists of hand forms, weapon forms, two person hand and weapon forms, internal forms and strength building forms. In recent times there has been much debate on how many forms to practice. No one can agree on what is too many and what is too few. Our branch of Seven Star Mantis has 110 hand forms. 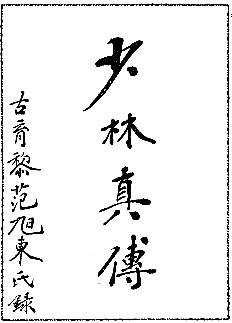 These forms are garnered from two sources. The first is Chiu Chi Man and the second is the Yip Ming Duk monks. All of the forms have their unique value. However, it is certainly not necessary to learn them all. In fact few people ever learn more than 30 forms. Yet the style can be mastered with even fewer. Mastery of the style comes from mastery of the theory and principles of the style. Forms are a way of learning how to use the principles of a style by setting a clear example of what can be done within the boundaries of that style. Some styles contain as few as one form. Others have three. Still others have 10 or 20 or more forms. Any number of forms can be argued for or against. The fact that we can make an in-depth analysis of any position, in fact, proves that any position can be a reasonable one to take. To dismiss something without researching it thoroughly is actually more naive than an in-depth analysis of something even if that something is not easily, if at all, provable. There is a popular belief that Seven Star Mantis is comprised of Plum Blossom Mantis, Long Fist, Rolling Cart, Eagle Claw, Shiny Board Mantis as well as the original Seven Star forms. However, this is true and false. True in the sense that forms and techniques were borrowed from other systems yet false in the sense that it implies that no further changes occurred than just that. If such a position is taken then we can not call mantis, mantis. Call it 18 styles hybrid style. Or 1/18th Mantis, 1/18th Tong Bei, 1/18th Monkey and so on. In fact, originally, the added styles outnumbered mantis 17 to 1. Yet the style was called Praying Mantis. It was plainly understood that the additions were to augment the praying mantis style. So it is with the forms that came into the style through the last 350 years. Once borrowed, these forms were changed into Seven Star Mantis forms. Merely the sequence of techniques and series of movements were borrowed. Then things changed drastically. Many forms are even unrecognizable from the original. The forms that came from non mantis systems were “mantisized”. Meaning that, many techniques were replaced with variations which would fit the characteristics of mantis. The forms that came from other mantis styles were “sevenstarized” for lack of a better word. That is to say that they were changed to the way a Seven Star Mantis practitioner would do it. The Hung Gar system uses the form Lau Gar Kuen as a base set, which was taken from a style called Mok Gar. Yet Hung gar practitioners don’t take the position that Hung Gar is part Lau Gar or Mok Gar. To use forms from another system and not use the same principles and theory from the style it came from changes the dynamic of the form. It is no longer the original and should not be construed as such. So, The question that remains is: are they all real Seven Star Mantis forms. What constitutes a “real” Seven Star Mantis form? It is opinionated at best. Any list you come up with can be argued with. For example, many would consider Bung Bo to be a “real” Seven Star Mantis form, but it really isn’t. Bung Bo was created before the factions of mantis existed. So there is Bung Bo in Tai Chi Mantis and many others. The style of mantis itself is a combination of many styles incorporated into a hybrid art. Chaap Choy is a form created by Chan Lin Wor and taught at the Jing Mo association and was added to the mantis style only 2 generations ago. But many consider it a “true” Seven Star Mantis set. This goes on and on with sets being “borrowed” from many styles. And there is still debate about how many forms Law Gwong Yuk borrowed and or created. Added to this is the differences between Law Gwong Yuk’s students in China and his students in Hong Kong. Did Law Gwong You create continually during his life? Or were there spurts of creativity here and there? The fact is that we simply don’t know where most of our forms came from. So, that being said, all of the forms that are listed here are as real as any form can be. All were added in due course in the history of the Seven Star Mantis style. The deciding factor to decide if a set is “real” is whether or not the form follows the theory and rules set forth in the method of Seven Star Mantis. If a form is taken from another style and then “mantisized” as so many times has happened, then the choice has to be made whether to accept it or not. That is going to be up to the individual. The forms listed are passed on to me by my teacher who is unquestionably a Seven Star Mantis mantis practitioner for almost 70 years. I accept them for what they are: a method of training movements and techniques in accord with the principles of Seven Star Mantis. As mentioned before, The rest of the sets up to form 98 is reserved for only the top disciples. The final 12 forms (99 – 110) are reserved for the inheritors of the style. Here is a list of 40 of the weapon forms in Seven Star Mantis. They are not in the learning order. The weapons are taught first are the staff, saber, spear and double saber. After that the sifu can teach any kind of weapon but the next is usually the gim (straight sword).